With the recent surge of Battle Royale games, you might be wondering whether PUBG is a game for you. In this guide you will find the basics that will help you make that decision as well as secure your first winner winner chicken dinner. First and foremost, PUBG falls under the Battle Royale series. That is, the last man standing (or team) will be the winner of the game. You can do this by killing everything and everyone in sight, or by sneaking your way into the late game and taking out only what you deem necessary. You only get one life, so spend it wisely. There are a few different ways to play PUBG. You can go into the game as a solo, duo, or up to a four-player squad. You can also solo queue into duos or squads if you would like to test your individual skills in a harder setting. There are also special game modes, like WAR – a game type similar to team deathmatch – as well as special games that PUBG changes up from time to time. Each game starts with around 100 players in a plane that flies in a straight line across the map. The players are in control of where they drop out of the plane, eventually having to pull their parachute to float to their landing location. Once players land, they will start the looting phase of the game where they try to gear up with equipment in order to survive the rest of the game and the engagements that they will enter into. After a short duration, a blue electric field will start to close in to a certain area marked on the map. If players are touched by the blue they will take damage which increases as the game goes into later stages. The players will all eventually be forced into the same location, or face succumbing to the blue’s damage. The protective equipment found in PUBG consists of a helmet, vest, and backpack. Each of the equipment classes have different levels ranging from one to three. Level one gear is the weakest while level three is the strongest. Every weapon in PUBG can be equipped with a variety of attachments. There are scopes ranging from Red Dots to 8x scopes, but not all weapons are compatible with all scopes. Make sure you have a strong collection of scopes, so you are ready for all scenarios you will find yourself in. To help with the gun’s recoil, PUBG made sure to add grips and barrel attachments throughout the game. These attachments lower the vertical and horizontal kick when shooting the gun. The barrel attachments can also make your shots quieter and harder to spot. Magazines are attachments found quite frequently in PUBG. They increase the gun’s number of bullets in each clip, make the gun quicker to reload, or both. Cheek pads decrease the recoil, and bullet loops decrease reload time. There are three maps to choose from in PUBG with more in the works. 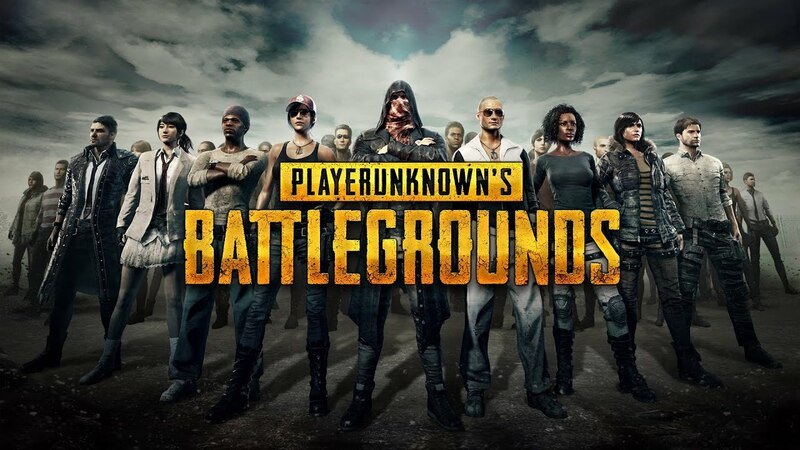 Erangel is PUBG’s original map with features such as mountains, fields, towns, small cities, a river, beaches, and an ocean surrounding the entire map. It is 8×8 kilometers. Miramar is the second map released by PUBG. Although considered less popular than Erangel, this desert map is perfect for long-range battles with all of the open terrain and mountainous hills to move through. Similar to Erangel, Miramar is also 8×8 kilometers. If long-range battles are not your forte, then maybe Sanhok will be what you are looking for. This is PUBG’s most recent map to be released. Set inside a jungle, Sanhok is perfect for close range battles. This map allows players to traverse through the tropics, ruins, towns, and abandoned military complexes. Unlike the previous two maps, Sanhok is only 4×4 kilometers, so it is faster paced and action packed. Survival is key in PUBG, and if you want to win then you have to be the last man standing. Most of the time players that win a lot of games tend to play a more passive style of play and only pick the fights that are necessary. A common strategy to win a game of PUBG would be to drop out of the plane and use your parachute to go a considerable distance outside of the plane path. This way you do not run as large a risk of running into another player without the proper gear to defeat that player in combat. After you gear up and are ready to move, there are two common metas that tend to work for players going for that chicken dinner. The first would be hugging the blue or more commonly known as blue surfing. This strategy encompasses only moving when the blue forces you to, which means you will be sticking along the blue’s edge. One advantage to this strategy is that you only have to cover 180 degrees rather than 360. Most of the time you won’t have to worry about players being behind you in the blue, although that is not always the case. A negative to this strategy would be that you don’t have as many options for dealing with threats in front of you, usually resulting in you having to fight your way through the threats to get to where you need to be. Another negative to this strategy would be that the circle is less likely to end on your position, so you will have to be continuously moving. The second strategy would be taking a central compound, or dominant position, and then holding that position from opponents. The positive to this strategy is that you have the best chance of the circle ending on your location, meaning that you won’t have to move as far and run less of a risk dying in transition. The negative to this strategy would be that you have to cover 360 degrees, as well as defend a popular location that other players will be looking to take as their own.